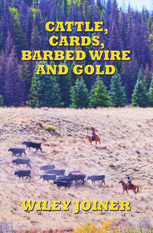 Cattle, Cards, Barbed Wire & Gold is an interesting collection of fictional short stories from the pen of historian Wiley Joiner. Several of the stories are based on actual and real events. 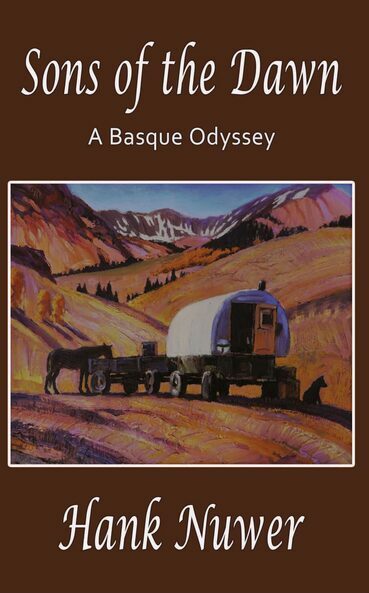 Grab a cup of coffee, settle in your favorite chair and enjoy a trip into the wild west. There wasn't time to not kill him," Seth said. Buck Henry was bigger and stronger than any man in Sutter Creek, with a mean streak a mile wide and a mile deep. He was used to getting his way, even if it meant killing those who stood in his way. It didn't set well with him when Captain Seth Gentry of the California Rangers rode into town, and Buck swore he would kill the ranger if it was the last thing he ever did. Ranger Gentry on the other hand, was proving to be a difficult kill. "A fast-paced yarn with a surprise in every chapter. 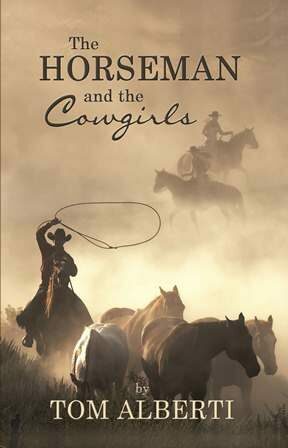 A book to please western fans everywhere. "- Major Mitchell, author of Cool Water Justice. "It's empty," she said, staring into the open grave. "It certainly is. We've been waiting for you, because it's your funeral." "No!" she screamed as he pointed the gun and pulled the trigger. “A vivid story of a half white, half Indian bounty hunter trying to bring in a young killer, while dealing with the contrast of cultures. Well written.” -Tom Alberti, author of The Horseman series. "Major Mitchell continues to pull me in to his "Old West" world with well created characters and a suspenseful time line of western suspense. This novel has created a new hero who deserves to live on into other stories and adventures. Cannot wait to see where Major takes this character and continues to keep this storyline evolving. Great read." A flash of lighting and a clap of thunder, followed by a baby’s cry caused Lillian to patter down the hall in her bare feet. She started toward the crib as a gust of wind caused the curtains to flap wildly. Lightning lit the sky as she turned to close the open pane. On the opposite side of the window stood a large, black man in a buckskin shirt and beaded necklace, staring back at her. He was holding her daughter in his arms. The thunder drowned her scream. Rain pelted her face and soaked through her thin nightgown as she leaned through the window. The only sign he had been there were two footprints in the mud that were quickly filling with water. She was nearing the fork in the road when she heard a quick buzz and the sickening sound of a bullet striking flesh. It was immediately followed by the roar of a rifle as her horse collapsed under her. Katherine found herself being propelled through th e air and everything went blank as she crashed into the hard-pack ground. “I told you he’s not for sale,” Clay said tersely. “I ain’t buying, I’m taking,” the man said. “What’s your name mister?” Clay asked. “Well, if you are to be a horse thief you can be shot or hung. It’s only fit’n that I know your name to notify your next of kin,” Clay said. Ethan Marconi had grown soft sitting behind a desk. When a shipment of revolutionary repeating rifles and pistols are stolen from The Marconi Arms Company of Denver, he is ordered by his father to track and recover the arms. In doing so, he finds himself thrust into the middle of the Civil War. 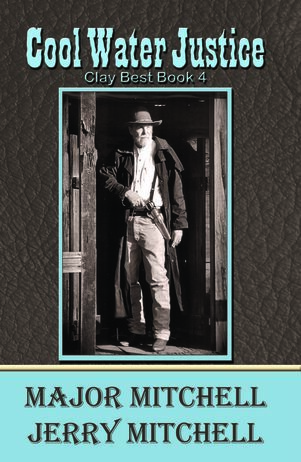 “The Gun Trail is loaded with Western action, a touch of romance, lots of cowboy and Indian characters, and a fictitious gun company that helped settle the West.” -D.B. Jackson, author of THEY RODE GOOD HORSES. Jonathon Buchanan claims to have a Spanish land grant covering ten ranches south and east of Tucson, including the Blandini Ranch. Tom knows it is nothing but a fancy land grab, but it is up to him to prove it. While investigating the validity of the claim, Blandini and his friends face harassment tactics from Buchanan. Their problems grow when gunman James William Hooton Jr. appears, and begins shadowing Blandini wherever he goes. As the court date draws closer, people start turning up dead. As the three horses raced from the bank, a mother and her young daughter froze in the middle of the street, watching the horses and riders running straight at them. Allen leaned out of his saddle, grabbed the young girl by her waist and drew her up beside him. 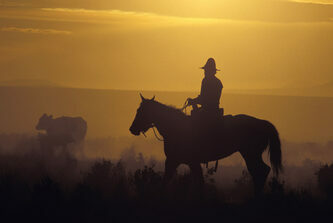 His horse continued barreling down the street, raising a small dust storm in its wake. The girl’s mother was left screaming in the middle of the street as dust slowly covered her hair and clothes. U.S Marshal Josh Stone was being forced into either sitting at a desk job in the Denver headquarters office, or retiring. Riding the open desert and ridding the land of murderers, cutthroats and thieves, was all he knew. He was trying to decide which option was worse when a telegram from Claval arrived, saying Jack Allen had robbed the bank at Covered Wells and kidnapped a thirteen-year-old girl. The girl was found dead. The telegram ordered Stone to track Allen down and bring him to justice. A welcome chance for One Last Ride.